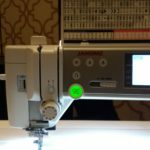 Bernina has announced a new promotion that is similar to the promotion they had going when they announced their V6.0 embroidery software, but the new promotion is way better! 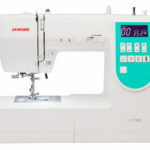 The “Trade in your Dongle” promotion from Bernina begins on September 3th, 2010, and includes options and possibilities not offered during the original Trade in your Dongle promotion. The additional possibilities cover nearly everyone who has embroidery software. This is a great chance to purchase Editor Plus or Designer Plus at a discounted rate. Here is the deal: Bring in a dongle from your old software, regardless of brand, including eXplorations and eXplorations lite, or bring in your dongle from the older versions of Bernina software – (V2.0, V3.0, V4.0, or V5.0,) and take advantage of the Bernina Trade in your Dongle opportunity. 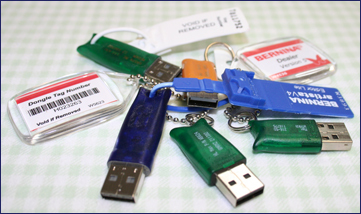 If you have a new (or a newer) computer and you are frustrated because your older version software does not work with that new computer, the Trade in your Dongle program is exactly what you want. The offer also applies to all of you Editor Lite people who would like the additional embroidery capabilities of Editor Plus or Designer Plus. This promotion will last until October 31st, 2010. Bernina prohibits us from publishing prices on the internet, so come in to visit…and don’t forget your old dongle! I have the V3.1. I have an old computer and need to get something newer. I want to trade in my dongle. What can be done? 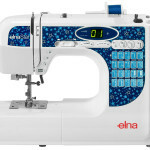 Bernina's Embroidery Software V6 Update will not work with old V3 type dongles. You do have a couple of options. First, you could try using a virtualization software to run a guest operating system on the new computer. I've used this method before. Microsoft has a virtualization software called Virtual PC, and I've also used one called VirtualBox. You'd have to have a custom computer/motherboard that has the old LPT type printer port if you go this route. Your only other option would be to wait until Bernina has another trade in your dongle event... and I have no idea when that would be. Well, that's not entirely true. If you can obtain a V4 update package, you could then update your V3 dongle to V4, and then buy a V6 update package and update a second time. This is exactly what I have and need help with. I have the parallel dongle and a V4 update package with the new USB dongle. I am trying to do the dongle update process by having them both plugged in. However, the update says that my parallel dongle is not the correct version. Have you ever run into this? Parallel dongles go way back, so no I haven't had experience with that. I recommend contacting your local Bernina dealer, or Bernina of America. One thing I forgot to mention in my reply was that your new computer would need an LPT type printer port, but I failed to mention that it would also need a COMM port, which is important because you would need to plug your machine into your computer. The LPT port is only for the dongle. I have V3 software & have upgraded to V5. The problem is that V3 was on my old computer with windows ME& a parallel port for the dongle. With V5, my windows XP computer does not have a parallel port but it does have USB. When loading the software, it wants verify the parallel port dongle and the USB at the same time to upgrade. Is there any way of loading the V5 software without the parallel port? Or do I need to buy another computer? Unfortunately, you will need to find an old computer that has a parallel port so you can do the dongle update. There is no way around it. I wouldn't buy a new computer just for that, but if you do, you won't find any new computers with a parallel port. Actually, many motherboard manufacturers, such as Gigabyte, still over the port connection on their motherboards, but you would have to build your own computer, or have it built for you. If you go that route, make sure the motherboard has the port connector, then you just have to buy the actual port and plug it in. It probably won't be configured to work by default, but if you go into the system BIOS, you'll find a setting to enable it. I have the B&V software for my Barudan machine. I recently had to replace my computer and cannot find the dongle to run the software. Does anyone have a dongle that came with the B&V software they no longer need? Is B&V still in business? Are there any other options available besides getting a new software program? HELP, please. Where can I get an "explorations lite dongle" I need the to get my h79 to work any ideas? I have the Bernina Embroidery Software 6 update. I have the Version 4 ssoftware and dongle which does not allow me to get the full upgrade. I believe I need the Version 5 dongle to do this. Do you know where I might purchase or trade for a Version 5 dongle so that I could upgrade to the full Version 6 Designer Plus? Hi Helena, unfortunately because the V6 software requires a USB security device, it is impossible to download. 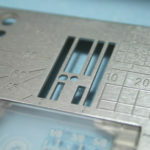 You will need to purchase the software from a Bernina dealer. Even though you don't like your local dealer, you must have liked them enough to purchase your machine, so I suggest going back there for the software and software lessons. Thank you so much for your reply. I went back to Bernina here in Saudi and I was pleasantly surprised that the other man that served me did have knowledge on the products that I needed and on your advise I purchased the new software designer plus v6, dongle and all at a great price, the last of his old stock, ( I must add, I did not receive a dongle with my machine , are they suppose to sell them with your machine or only with new software?) I hope my questions to not seem dumb, I'm still figuring things out. But anyway, my software works great, download anything from the net! Thank you again! After my dongle broke a few months ago I tried to buy a new dongle thru Bernina. Not a chance! I have the original box and the original receipt in MY name. The only suggestion / help? I have had is to buy a new software for almost 1000 pounds. I am utterly disappointed and there is no way I will do that. I own this software - I have paid full wack for it once. and don't need an upgrade to v6 (mines v4) until I win the lottery. In desperation I handed my dongle in to a PC repair place and it was thrown away as non repairable. If anyone know how to get my program up and running again PLEASE email me! I got the v5 with my module, the dongle was always attached to my laptop, late last year we got broken into and it was stolen, Got in contact with the dealer in perth but they said i have to buy a new one from switserland...Can you please help me. We also shifted house and some where i wrote the number down for the upgrade but i cannot find it. Annie, as far as the software is concerned, the dongle IS the product. If you lose it, regardless of how it happened, your only option is to re-purchase. Hi Lena, I am so sorry but they don't help in Canada either. I - like you had a broken dongle but before I could call them it was lost. I wrote on the chance - I have heard about this poor after purchase service before but thought it couldn't be true. Their audacious reply was to buy the new version 6. I was embarrassed for them even further when I tried to respond to their dismissal to discuss a more reasonable resolution and they responded to say they couldn't discuss the incident with me because I responded from my other email address - even though I had posted the incident number in my subject line!! They made me feel they have had great practice dismissing us - after all we are just dumb women. 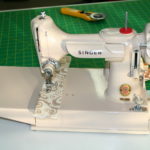 I am convinced if men were buying home sewing machines at the price we pay - this type of practice wouldn't be tolerated. Shame on Bernina. Great product but not that special if the service doesn't match. I am going elsewhere now and telling anyone who will listen to beware of this type of practice. Money isn't the issue - it is the principle isn't it? They could keep us happy an no cost. Instead they can now spend more money to try and acquire new customers and hope those folks don't read true customer experiences like ours before they decide which brand to purchase. I just wish I knew this sooner - before 1967 when my mum purchased our first Bernina. We have been brand loyal since then and have spent $20,000. It's their loss - not mine. I will never ever buy a bernina product in my whole life. The Singer machine is called Quintet, it was mixed reviews, Cost 1000.00 on QVC. I need to upgrade my computer from Windows XP to a more current operating system. Therefore, I also need to upgrade my Bernina DesignerPlus Version 5 software. Is there a download for this? No download. You would need to buy an upgrade from your Bernina dealer. When we were a Bernina dealer the price was around $500.00. I'm not sure what it is now. i have the Bernina Editor Lite V5 with windows 2010 now my dongle does not work please help i need my Bernina program. I have withdrawel symptoms already. What can i do. Karen, I've never heard of Windows 2010, but on most computers, if your dongle no longer works, you'll want to check to see if you have the drivers installed, and if not then install them. Your local Bernina dealer should be able to help you with this. Carol, I think the only thing you can do at this point would be to run Explorations in a virtual environment, and a guest operating system that is compatible with version 1. 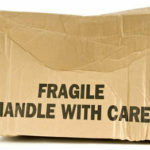 You might take a look at "Virtual Box", which is a free virtualization software product. I have an XP laptop installed with version 6 designer plus. If I remove explorer, will I have issues? Beth, Bernina dealers will always offer an upgrade package (for a price). This is usually the cheapest way to get the new version, which is normally designed to work with the latest operating systems. Bernina may also offer software patches or other fixes on their website. Since we're not a Bernina dealer anymore, I really can't give you better advice. Hope this helps. I have a newer laptop that does not support the dongle for V2. I upgraded to V4, but it won't install unless I put the dongle in for V2. such a conundrum! I wish Bernina would help the consumer by letting them upgrade to a newer version and then give them the FULL version, so we don't have to keep putting the old dongles in and having issues with newer technology!!! What advice to you have for me. I've already spent well over 2,000.00 for these two softwares. I even bought an adaptor to use with my 170e machine. Now that I have the 730e, and a new laptop, I really need to have the "full" newer version, not an upgrade. I'm stuck with expensive software and no way to use it. Please help! Hi Denise. I'm not sure why you would purchase v4, as it is really old now, but perhaps Bernina requires this as an intermediate step before upgrading to their current version? As you know, we aren't Bernina dealers anymore, and this blog post has been kept on our site for archival purposes. I recommend going to your local Bernina dealer for advice, or perhaps calling Bernina directly. I have a Bernina 560, what software and dongle do I need to digitize and convert files? 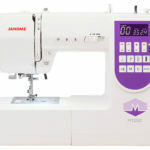 Marina, we haven't been a Bernina dealer for a few years. You're going to need to ask a Bernina dealer. Is this trade in still valid for a V5/6 dongel the blue fat one? Sorry Maryna, we are no longer a Bernina dealer. Contact your local Bernina dealer and ask them about their special offers!